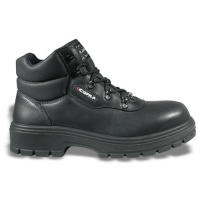 Black boot with external metatarsal guard ideal for a range of warehouse and industrial environments. 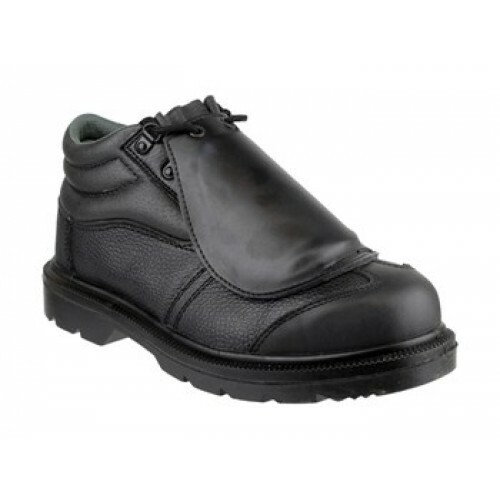 Offers toe and midsole protection conforming to safety workplace standards. 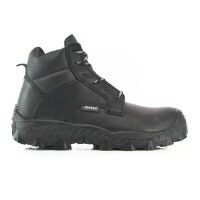 With water-resistant upper and antistatic, heel heat absorption and an energy absorbing rubber sole.